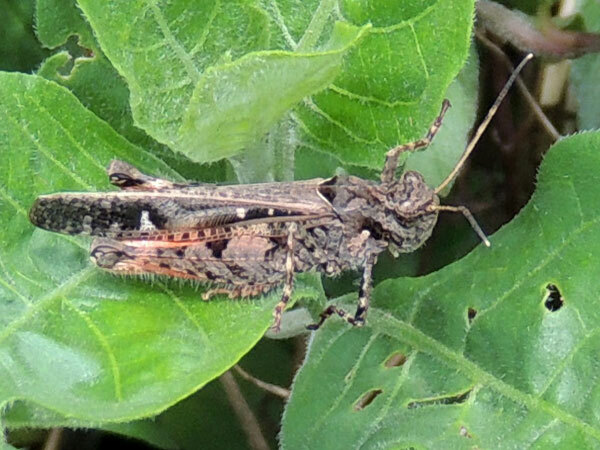 Found in mixed pasture and eucalyptus plantation at 2200 m. near the rim of Menangai Crater, Nakuru, Kenya. March, 2013. Length, excluding the antennae, is about 20 mm. When predators such as insect-eating birds target an insect they often aim for the head. It's a vital organ and also represents the most likely direction for escape. My hypothesis is that the ridge between the eyes on this grasshopper help conceal the eyes and thus confuse predators attempting to target.